This group serves the organisation of the distribution of Blessed Crystals and Initiation Stones. You feel drawn to the energy of Crystals? You would like to help seed and anchor the New Earth Matrix? Well, then join us in this group which serves the organisation of the distribution of Blessed Crystals and Initiation Stones! I feel so much joy in my heart to be able to share this beautiful news with you today: We have worked on a plan to distribute Sacred Stones and Crystals to whoever wishes to be part of the opening of the Crystal White Doorway to New Earth! When you receive tghe parcel, post a comment to the group so we stay informed where the crystals are and can update the list of names and addresses where the parcel should be forwarded to! As most of you are aware of, we were laying the foundation of the New Earth Matrix on December 21st and 22nd 2011 by burrying what I would like to call Seed Crystals in the bosom of Mother Earth near where we are living. In this way the Net of Light was sown and initiated - a Net of Pure Crystalline White Light of the Highest Frequency which since that date we are nourishing with our LOVE and the most beautiful Visions of PEACE on an Earth where ALL are cared for and fed, a Vision of Planetary Brotherhood and Sisterhood among Humanity and Beyond! The Crystals and Initiation Stones all carry this Sacred Energy of a New Beginning. My path of a lightworker was initiated when I received a very special stone back in the year 2000. It was during a meeting of some very special women that one of them brought some initiation stones which she freely distributed among us, letting us know that these stones carried the Seed of our Awakening. She told us to carry the stone in our wallet or a pocket, that is, somewhere close to the body to benefit most from its energy of transformation and awakening - and that we could ask the stone to take back its power by drawing a circle with our hand above it in a counterclockwise direction. And if we wanted to re-activate its full power, we were told that it would suffice to draw a circle in a clockwise direction with our hand above the stone. Well, I forgot about the stone ... but somehow it always came with me when I moved from one place to the next until I found my way back home where it received a nice place where I went by a thousand times a day. I AM the all surrounding, all embracing power of the connection of all cosmic energies which help all cosmic consciousness - and especially human consciousness - to evolve and make the best out of any situation through combining all these power to ONE intense Ray of a most special quality. If you work with me by carrying me or having me in your immediate environment, I will transmute all familiar soul structures step by stel to free you to become one with your entire Cosmic Being. Step by step you will learn to perceive all that happens in the outside from theis universeal viewpoint and thus the Cosmic Rules will become the perimeter of your experiences instead of the rules of man. You will dive into a world that is absolutely void of judgement. You enter the original flow of free energy attracting Christ Cosnsciousness and direct access to Divine Source. Once the network is fully activated, it will be 140% easier for EVERYONE on Earth to receive and integrate the input of Free Energy as emitted for example by the sun - or intergalactic symbols which you can use to make your dreams and visions come true. The first transmitting station on our planet was initialised on September 21 2001 at the Place of the Scorpion in the north western quarter of Lower Austria, called "Waldviertel". The energies were focused on a beautiful big piece of clear quartz crystal which since that night from September 20 to 21 2001 serves as the "Motherstone" of the Elomin Network. All initiaion stones were then initiated through DIRECT CONTACT with the Mother Stone - or a subsequent initiation stone. "Through the Power of my Mighty I AM Presence I command that the energy of the Elomin Network be transmitted to these stones and that this energy shall be maintained throughtout their entire existence. I gratefully bless ELOMIN and I honor and bless the Power of Initiation! Leave the stones in the circle for at least 10 minutes - or better even, overnight. You can also create your own transmission station - but more on this when you ask, lol! It is our intent to spread this energy now all around the globe - and if you feel called to WORK with the Crystalline White Light of Creation and the Elomin Network, please post a reply and send us your address! On May 1st 2012 people will gather all around the world for what Sylvia has called the BIG HUG. From Alaska to Chile, all along the Panamerican Highway, men and women of all nations, colours, races and religions will join hands to manifest and show their will to contribute to Global PEACE and the just distribution of goods. In Europe I would like to ask everyone who lives somewhere near the Camino de Santiago to take the 1st of May out of the ordinary flow of life and make a pilgrimage to one of the many Sacred Places along the path - and hug the people you meet, tell them about the BIG HUG event and spread the message of PEACE among mankind. If you can somehow make it to SANTIAGO DE COMPOSTELA on May 1st - or the ALTAI MOUNTAINS PLEASE CONTACT ME!!! I will be on a Sacred Mountain in the Alps for Ritual in a Cave to connect EAST AND WEST - in the middle - right between Santiago de Compostela and the Altai Mountains ...! Now more about the USE of CRYSTALS: On May 1st, take a Clear Quartz Crystal or any other precious stone with you wherever you are to store the energy of the day, the event and most importantly the shared INTENT to manifest the LOVE of the Hightest of Realms we can possibly access in order to create PEACE on Earth! Of yourse you can then inform other stones and crystals with this energy as described above! Burry these stones at Sacred Places and beautiful sites - give them to your friends to bring this energy into their homes as well and follow your inner voice and guidance which connects us all. If this summary speaks to you, add a comment to the group now and let me or thruthemists know your address which we will add to the parcel that is to be sent out in one of these days! May the Power of the Violet Ray FREE us from darkness and selfish behavior. You need to be a member of Lightgrid Crystal Connection LCC to add comments! Some are healers and few are Earth keepers...!! You can share the pictures if you have !! 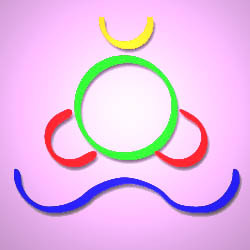 provides home security and helps to dispel negative energies. Oh! THANK YOU, Aimee, for having found a way to post them! Does that help? Or was it a technical problem?